Join us on Friday, February 2, 2018, at 7:30 pm, at Calvary Baptist Church, 28924 Ruus Road, Hayward. The speaker will be R.J. Walker, who will speak about cybersecurity and how to create passwords, followed by a Question and Answer period. This month's raffle prize will be a Manhattan Knappack. 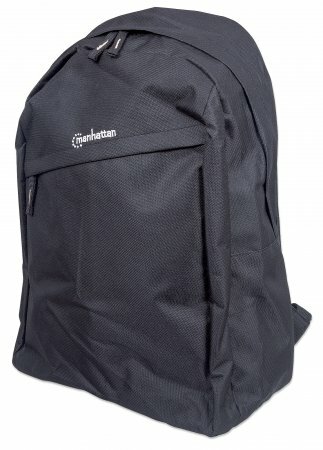 It is designed as a lightweight, convenient and affordable carrier for your laptop computer. Its main top-loading cargo compartment features a padded inner sleeve for a laptop computer up to 15.6", and offers ample space for books, clothing and other items. It also has an outer carryall pocket that is ideally suited for pens, business cards and other smaller items, as well as an elastic mesh side pocket for carrying a water bottle or other small cargo. The exterior of this bag is made from 600D PVC for durability and dependability, and it has padded, adjustable shoulder straps for maximum comfort. When you attend the conference, please sign in with the user name and e-mail address you used to register for the event.